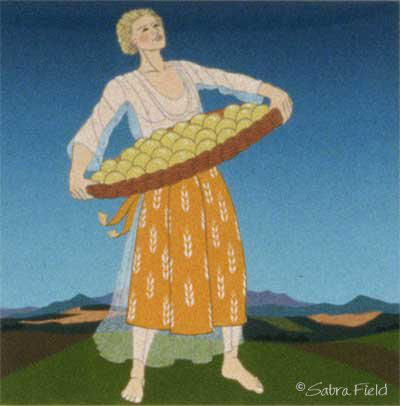 Demeter was the goddess of the harvest, and of all plant life. Her emblem is wheat. After Demeter gave us the plough to farm the land, nomadic life ended. Civilization began. Her myth is set in Sicily, once part of Greece and traditionally the bread basket of the Mediterranean.